Haunted people remedies, Types of spirits attack, How to know that a person is attacked by spirits, Which type of people easily comes in contact by spirits or ghosts, Videos of haunted people, Videos which will prove that yes ghosts exists, How to Cure haunted people? Earlier i have explained about the haunted house remedies. Now i am going to clear about the people who are sufferings from the spirits. This is again a very important subjects from the point of view of people who are actually suffering from evil spirits. You have many times found that some persons male or females do abnormal types of behaviour they are actually not psychic but they are captured by evil spirits. There are some spirits which have power to enter in the bodies to fulfill their some desires. In India at the time of Navratri the time of shakti aradhna gnerally these scenes are easily seen in the temples of goddess chamunda. some persons are found moving their heads round and round, some are dancing, some are abusing some are sitting quietly These are not normal cases actually these are trapped by ghosts or spirits and on these days they shows their power. If the haunted person is taken to any holy place then he or she generally tried to avoid and if forcefully done then the person starts showing their anger by doing some abnormal behavior like moving head, abusing, stand firmly etc. Any one can face this problem like as children, adult, teenagers, aged etc. Some times a person lives his full life with ghost but he doesn't know about this. Let me show you a video of Mehdipur balai arti. This is a very powerful place where persons get rid of ghosts by the power of god hanumanji. In this arti video you will find that some people are moving abnormally during the arti time. It is said that here in mehdipur balaji victims of spirits easily got cured. In India there are many places where medicines of ghosts are given. There are many sacred area where just by entering people gets free from evils. There are many places where negativity not able to enter in any case due to the purity. The people who have rakshas gan as per horoscope or kundli are easily trapped by spirits or ghosts or negative energies. The persons who has weak planetary powers also easily affected by evils. The people who don't take precaution on eating and drinking alcohol on no moon night and some special days also easily trapped by spirits or ghosts. Black magicians also able to make any person affected by spirits. The person who don't keep cleanliness in cloths and environment also increases the possibility to get trapped by evils. cremation ground areas, cemeteries, grave yard etc are the areas of spirits and negative energies, those who don't take care while entering on these places suffers when luck is not with them. Let me show you one more video of Bhoot mela i.e. fair of spirits or ghosts. How To Decide That A Person is haunted? Now i am going to reveal some of the ways and symptoms through which you can come to know that the person is trapped by any spirit or ghosts. If the behavior of any person is changed suddenly then there is a very chance that there is an evils attacked. Now first of all it is good to do some utara and check that any relief is there or not. Consult an astrologer to check is there any mahadasha or dasha of any malefic planet is going on or not. Also confirm that what is the gan of the person. If all the symptoms indicating negativity then there is vary chance that the person is attacked by any spirit. If the person is demanding for any specific thing at a specific time then also there may be a chance of ghost attack. Some people starts sitting at a particular place in total silent. Some people talk with some one but for common people there is no one. Sometimes a very special things happen in which people start believing that the person has got any super power and i.e. some ghosts starts predicting the future of persons who came near by. When things go right people and family members think that yes the person has got some super power but after some times it is found that some other power has entered in the body without permission. Those who don't believe on this will definitely believe when i show you a video of Jawra. It is a place near Ratlam In Madhya Pradesh. Which is famous for paranormal activities People from around the world come here to get ok from ghosts or spirits. See these 2 videos carefully and try to understand what is happening. 2nd Video of Jawra in which you will see peple are tied with chains and screaming in different ways. Some are laying down, some are doing different types of activities. What To Do With Haunted People? Do utara with Lemon in the evening and through it to any chouraha. Take the person to the temple of lord hanumanji and put the dot of hanumanji vermillion or sindoor daily for some days and see the result. If the soul is talking then ask freely without any fear that what do you want. How do you leave this body. You can politely request first to leave the body at once. Some times utara with different things are required for which it is good to consult experts. There are some specific tabij of hanumanji, maa kali, lord Narsingh etc which if worn after charging then it protect the person from the evils attack. Try to take the person to Mehdipur Balaji or Jawra or any other place where this type of activities are done. 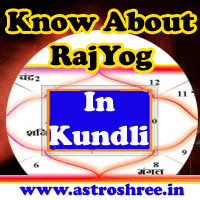 In Ujjain there is a 52 Kund place in Kaliadeh Mahal where also Pooja to remove spirits are done on Amavasya. If the case is very typical then it is good to consult experts only because some ghosts or spirits are very violent. So don't worry if you are facing this type of problems just pray to your home god and goddess and take the victim to powerful sacred places of hanumanji, dargah where you can easily get relief. 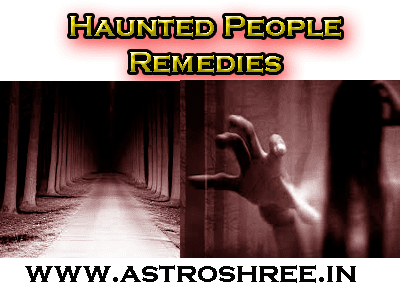 Haunted persons remedies if showing abnormal behaviour. Haunted people remedies if attacked by ghosts. Easy solutions of Haunted people.